An enduring Tolkien classic prequel to Lord of the Rings. An enduring Tolkien classic now available for the first time on CD. Bilbo Baggins enjoys a quiet and contented life, with no desire to travel far from the comforts of home; then one day the wizard Gandalf and a band of dwarves arrive unexpectedly and enlist his services -- as a burglar -- on a dangerous expedition to raid the treasure-hoard of Smaug the dragon. Bilbo's life is never to be the same again. The Hobbit became an instant success when it was first published in 1937, and more than 60 years later Tolkien's epic tale of elves, dwarves, trolls, goblins, myth, magic and adventure, with its reluctant hero Bilbo Baggins, has lost none of its appeal. John Ronald Reuel Tolkien, CBE (3 January 1892 - 2 September 1973) was an English writer, poet, philologist, and university professor, best known as the author of the classic high fantasy works The Hobbit and The Lord of the Rings. Tolkien was Rawlinson and Bosworth Professor of Anglo-Saxon at Oxford from 1925 to 1945, and Merton Professor of English Language and Literature from 1945 to 1959. He was a close friend of C. S. Lewis - they were both members of the informal literary discussion group known as the Inklings. Tolkien was appointed a Commander of the Order of the British Empire by Queen Elizabeth II on 28 March 1972. After his death, Tolkien's son, Christopher, published a series of works based on his father's extensive notes and unpublished manuscripts, including The Silmarillion. These, together with The Hobbit and The Lord of the Rings, form a connected body of tales, poems, fictional histories, invented languages, and literary essays about an imagined world called Arda, and Middle-earth within it. Between 1951 and 1955 Tolkien applied the word legendarium to the larger part of these writings. While many other authors had published works of fantasy before Tolkien, the great success of The Hobbit and The Lord of the Rings when they were published in paperback in the United States led directly to a popular resurgence of the genre. This has caused Tolkien to be popularly identified as the "father" of modern fantasy literature-or more precisely, high fantasy. Tolkien's writings have inspired many other works of fantasy and have had a lasting effect on the entire field. In 2008, The Times ranked him sixth on a list of 'The 50 greatest British writers since 1945'. 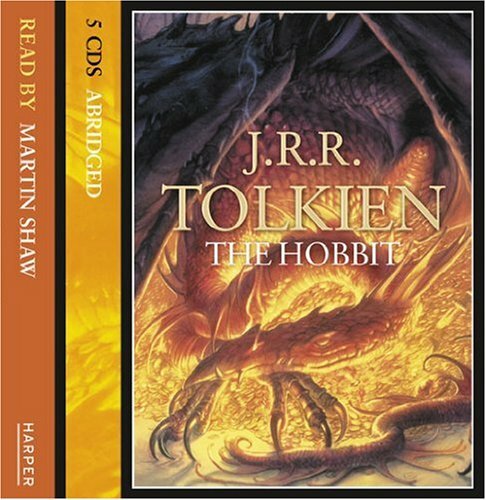 A sequel was requested by his publishers, and as work on the The Lord of the Rings progressed, Tolkien made accommodations for it in one chapter of The Hobbit. These few but significant changes were integrated into the second edition. Further editions followed, correcting minor errors and reflecting Tolkien's changing concept of the world into which Bilbo stumbled. The work has never been out of print since the paper shortages of the Second World War. Its ongoing legacy encompasses many adaptations for stage, screen, radio, and gaming, both board and video games. Some of these adaptations have received critical recognition of their own, including a video game that won the Golden Joystick Award, a scenario of a war game that won an Origins Award, and an animated picture nominated for a Hugo Award.